The construction industry has been much maligned when it comes to utilizing computer technology. Whether fair or unfair, construction companies have been seen as reluctant to adopt the latest technology and are generally viewed as behind the times when it comes to IT. In fact, a 2012 study by Gartner Research (written about in Engineering News-Record) found that construction ranked dead last out of 14 other industries when it came to IT spending, with companies only investing 1.1% to 1.6% of their revenue on this vital resource that the Bureau of Labor Statistics says accounts for 70% of US productivity growth. It is easy to see how construction has built its reputation as an industry that lags behind when it comes to IT. Running contrary to this conventional wisdom is the fact that the construction industry already employs a number of processes and technologies to drive productivity and innovation. For instance, critical path method (CPM) scheduling, building information modeling (BIM), and computer-aided design (CAD) are important elements in the arsenal of many successful construction/engineering/architectural companies and have been mainstays in the industries for many years. For good reason – as shown by multiple research studies highlighted in 2009’s Advancing the Competitiveness and Efficiency of the US Construction Industry, the usage of automation and integration information systems helped construction trades improve their labor output by 30%–45%. At this point, a construction company that does not make use of the benefits of CPM scheduling software, CAD, BIM, cost/accounting programs, supply management and material planning systems, and communication applications puts itself at a significant disadvantage in the marketplace. For those exceptionally slow adopters who need further convincing of the useful role IT plays in construction nowadays, here are a few more arguments in favor of taking advantage of the technology available today. Enhance Safety: IT lets you manage risk and leverage predictive analytics to ensure personnel on site adhere to all necessary health and safety guidelines. Create and execute a comprehensive inspection schedule to review the work of contractors on site and quickly identify any at-risk partners. Furthermore, putting in place a proper inspection strategy that includes a documented system with checklists, schedules, hazard identification training, strict recordkeeping, and accountability will make it much easier to correct problems as soon as possible. Monitor Performance: As mentioned briefly above, there are a number of tools that allow the user to track the performance of contractors, vendors, and employees. By compiling statistics on productivity, efficiency, cost, and a number of other indicators, the smart players in construction are exploiting the information that is available to them and using it to cut costs and bring projects in ahead of schedule. Share Data: As the world grows smaller, it becomes more and more useful to be able to share data quickly across a number of time zones or continents. Gone are the days of couriers ferrying blueprints to the architect across town. Now, it is all about using Dropbox or a similar service to instantly update plans and specs with the engineering firm in China or the landscape designer in Australia. Regardless of the specific reason for implementing any of these easily accessible IT tools, one thing is certain: advances in computer technology have played a significant role in boosting efficiency and productivity in the construction industry over the past few decades and will continue to contribute to growth in the future. 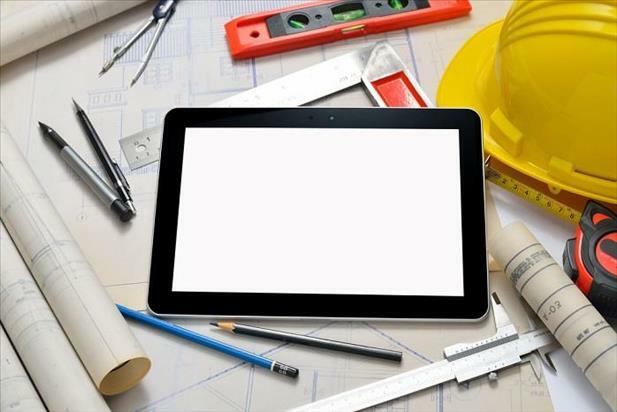 Mobile technology is the next step in IT for construction. Having the ability to collect, compile, and update information in the field is crucial, and many companies are outfitting their employees with the tools to deliver continuously up-to-date figures that can guide decision making and help reduce costs, streamline workflow, minimize mistakes and inaccuracies, monitor labor and equipment allocation, and enhance communication. In the end, no matter how foreign computer software may seem, the majority of it is highly intuitive and can be learned very quickly. The consequences of refusing to implement the technological resources at hand will be immeasurable as the world of IT (and the tools IT provides) continues to progress and new methods are identified/created to cut time and expenses. The revolution began years ago. At this point, your company is either taking advantage of the wave of innovation or falling further behind every day.